The Orion will feature an embedded GPS, 1080p video encoding at 30fps, a native triple display controller and an on-chip HDMI 1.3a interface. 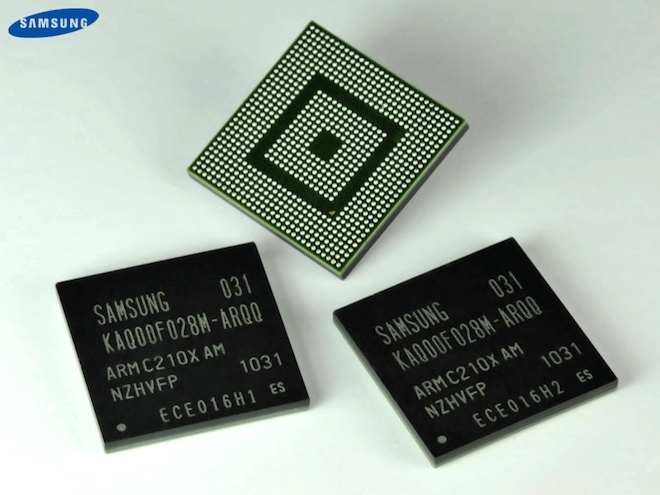 To optimize the performance of the CPU, Samsung has included a few additions such as a 1MB L2 cache and support for DDR3 memory. So is anyone else drooling at this point? This will by far blow anything out of the water as far as processing power goes. Their current A8 Hummingbird chipset is already able to process 90 million triangles per second, that’s 3 times more than the new iPhone4, so we’re going to go 5 times more on this chipset. Simply put, Orion will offer roughly the processing power of a Playstation 3 or an Xbox 360. That’s a lot of power in a tiny device! It looks like we’ll be gearing up for yet another exciting year in Android come 2011!